This Error Message Article explains the Windows error message “The [Service name] Service on Local Computer Started and Then Stopped. Some Services Stop Automatically If They Are Not in Use By Other Services or Programs” and details how to fix the underlying problem that caused it to appear. Event Log should provide necessary information for the next steps. 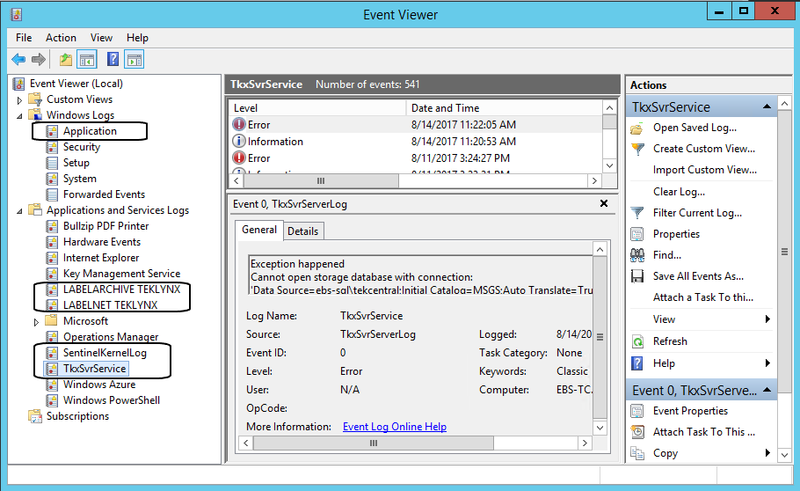 The Windows Logs > Application log can provide general information about the behavior of different services. However, in many cases, the software vendor will provide specific logs for their applications (see TEKLYNX example below).